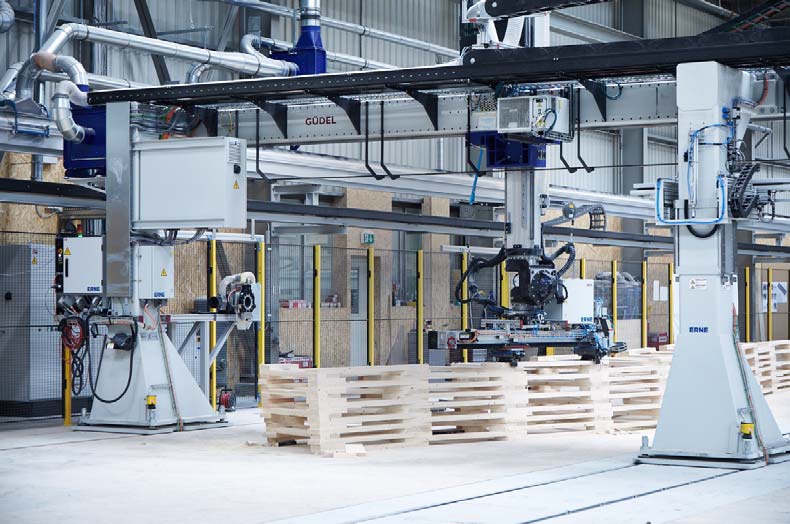 This workshop aims to demonstrate the synchronisation of advanced digital design with robotic manufacturing of large-scale timber constructions. 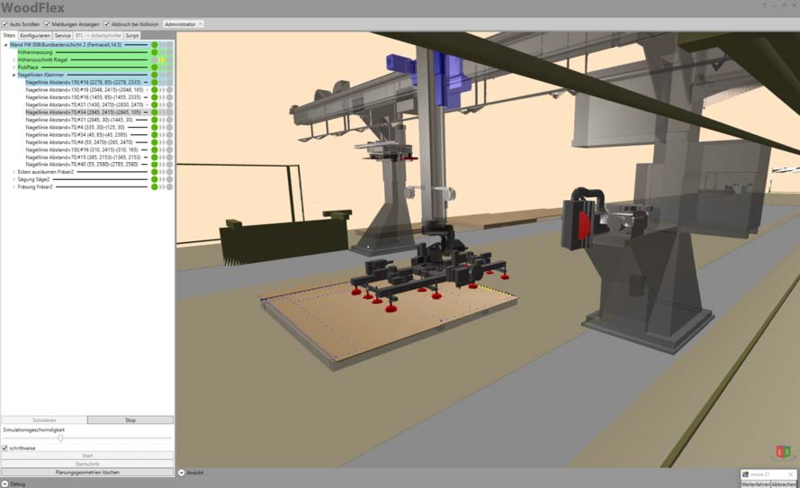 We will work with the gantry robot of Erne Holzbau, Europe’s largest robotic setup for the manufacture of highly complex timber constructions, with processing dimensions of 48 x 6.1 x 1.9 m. The installation comprises seven axes and a flexible tool changing head allowing the use of various tools for additive and subtractive component manufacture. 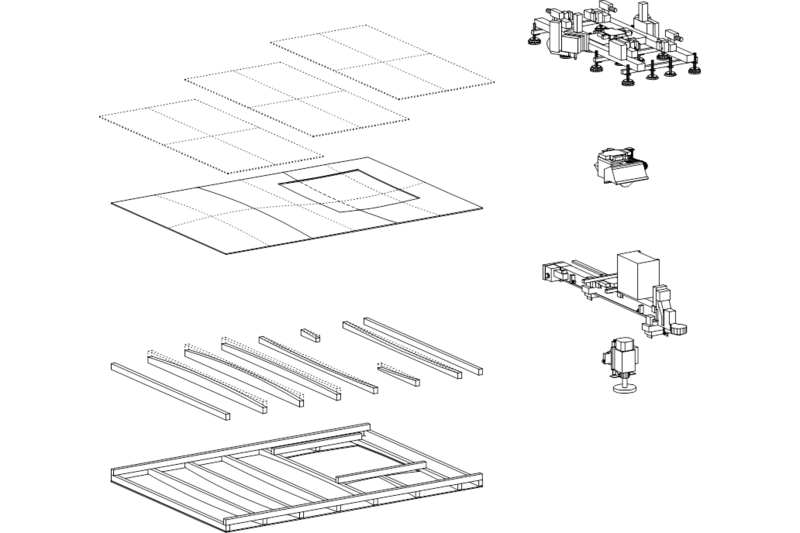 Within a parametric software environment that allows for a direct connection to the robot control, we will collaboratively develop a design challenging the capabilities of the robotic setup and produce a 1:1 physical prototype. 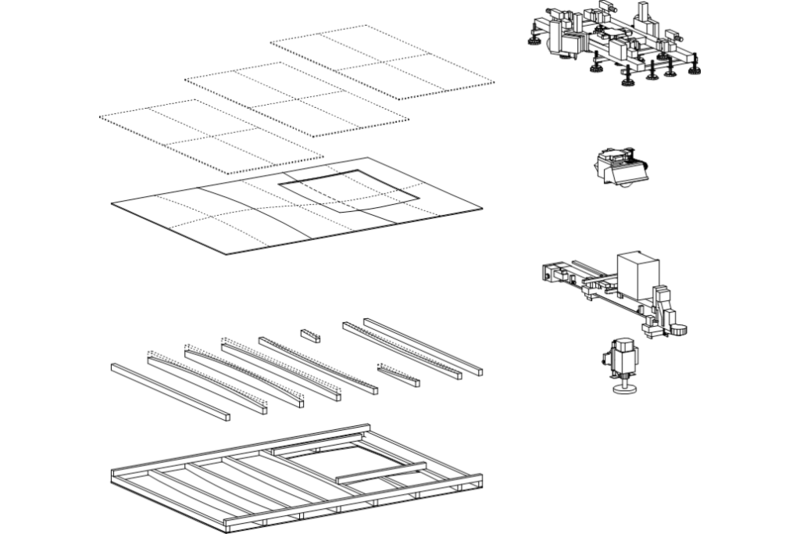 Specifically, the aim is to explore possibilities to design and robotically fabricate doubly curved wall modules. Participants will learn to develop integrated design solutions that are informed by the capacities of a specific robotic setup, as well as the applied constructive system of timber work. This includes insights into software concepts for synchronising the design and fabrication process, as well as basic principles of contemporary timber constructions. The workshop will give an understanding of the potentials and limits of robotic timber construction. At the same time, participants are invited to tempt the current status quo and push the boundaries of what is possible within the existing manufacturing setup.